Brunch – Catered by Cheyenne Crossing! 9:00 a.m.- noon Ruby’s Garden (behind the historic D.C. Booth House). Hosted annually on Father’s Day by the Booth Society, the brunch offers a scrumptious catered meal in Ruby’s Garden. Tickets for the event can be purchased at Ruby’s Garden the day of the event. Contact the Booth Society, 605-642-7730 ext. 221, for more information. Visitors can take part in an interactive and educational scavenger hunt throughout the hatchery grounds. Bring your completed scavenger hunt to the Pond Shop to receive a free cup of fish food. The Booth Society sponsors the event as a thank you to the community for its ongoing support. 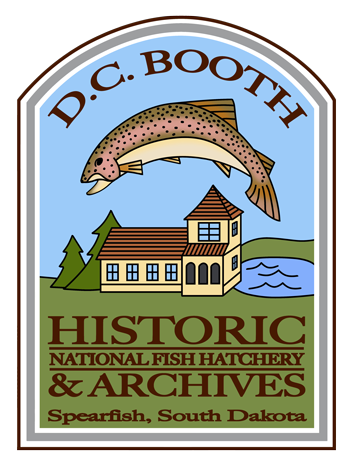 All proceeds benefit the D. C. Booth Historic National Fish Hatchery and Archives. Come join the fun!